Along the Beartooth Highway, select from multiple cabin styles and RV spaces, located just 5 miles east of Yellowstone's northeast entrance. Exceptional lodging for Yellowstone visitors seeking access to Lamar Valley wildlife, fishing areas, backcountry skiing or snowmobile terrain. 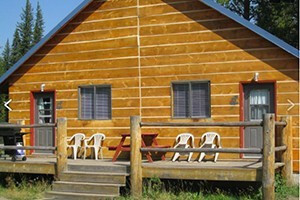 Beautiful cabins in Cooke City, Montana offering in-town conveniences. 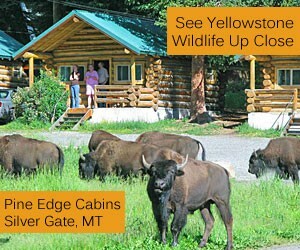 You are close to all the sights of Yellowstone and fabulous outdoor recreation opportunities. Deluxe lodge rooms and quaint cabins with kitchenette available, on the west side of Beartooth Pass from Red Lodge. Located just 3 miles from Cooke City, stay the night in one of 6 lovely guest rooms with full breakfast. Activities include horseback riding, fishing, and hunting.